In the past, a number of efforts were made to explore the possible benefits of a European organization supporting the development of high quality University information systems. Since the 1980s, some European universities´ CIOs used to attend the EDUCOM and CAUSE (now merged as EDUCAUSE) conferences in the USA. Following an OECD (Organisation for Economic Co-operation and Development) study and seminar on “Impact of Information Technology on Higher Education” which gave the opportunity to managers of Information Systems to meet, in 1993, after a first meeting in Amsterdam – considering the value of a European organization – the actual founding meeting took place in Paris. It was attended by scholars from eight countries: Belgium (Bruno Paternostre), Denmark (Ole Carsten Pedersen), Finland (Kristel Sarlin, Pentti Korhonen), France (Yves Epelboin), Germany (Jan von Knop), Ireland (John Moriarty), the Netherlands (Chris Hendriks) and the United Kingdom (Mike Collin, John Heap, Robin McDonough). Three other scholars from Austria, Norway and Switzerland could not attend but supported the aims of the meeting. 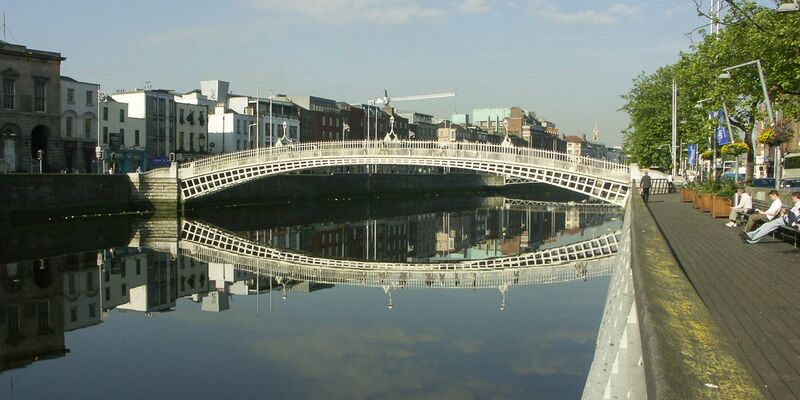 The meeting considered the potential benefits of interchanges across national boundaries, of a single European approach to the Information Technology suppliers, and also to the European Commission. EUNIS, European University Information Systems, was born as the federation of national organizations of university directors of information technology. EUNIS remained an informal organization till October 1997. At first, the founders wanted to register EUNIS in Brussels as a European Association. But this was too early; the European laws were not yet ready. Anyway, Robin McDonough was nominated as the first chairman of EUNIS, and Yves Epelboin as the Secretary. In 1995, a EUNIS three-day conference was held in Düsseldorf, hosted by Jan von Knop at Heinrich Heine University. It was the first of the annual EUNIS main conferences, called later on EUNIS Congresses. These conferences usually take place in June on a hosting university campus. This first attempt was immediately successful, with 200 delegates from 25 European countries. A number of issues regarding information technology were covered by the presentations. In 1996 a second Congress was hosted by Robin McDonough at University of Manchester. EUNIS considered at this time that it could not organize a “big” conference each year, so this one was a “small” two-day one. Anyway, due to the success, this concept of “small” conferences alternately with a “big” one was abandoned after this one. In 1997, the Congress was held on the Grenoble campus, organized by Jean-François Desnos and Yves Epelboin. Delegates from 31 countries were attending, among them Central and Eastern Europe countries, including Russia. Some speakers from the USA (EDUCAUSE, Gartner Group, several universities), and even from Australia were also present. A first General Assembly of the attendees in Grenoble decided to register the association under the French law (as European statutes were not possible), to give EUNIS an official existence. This was officially recorded in October 1997, with an initial Board elected by the General Assembly: Yves Epelboin (France), President; Kristel Sarlin (Finland), VP ; Martin Price (United Kingdom), VP; Peter Mederly (Slovakia) Secretary, Jean-François Desnos (France), treasurer. Three US colleagues were nominated honorary members to thank them for their contribution to EUNIS: John Bielec (Drexel University) as the US liaison, Richard Katz (Educause VP), and Michael Zastrocky (Gartner Group VP). Important links were set with these three key colleagues: a Board member became an invited scholar at Drexel, EUNIS members would pay a reduced fee at EDUCAUSE conferences, the Gartner Group would invite EUNIS members at big events. and in 2000 in Poznan, hosted by Jan Weglarz (Poznan Supercomputing and Networking Centre and the Poznan University of Technology). In 2000, Ron Chisnall (United Kingdom) was nominated the Executive Secretary. In 2001 the Congress was hosted by Peter Schirmbacher (Humboldt University Berlin). A new Board was made of: Jan von Knop (Germany), president, Ivan Vrana (Czech Republic), Jens Doerup (Denmark), Lígia Ribeiro (Portugal), Kristel Sarlin, Andrew Rothery (United Kingdom), Viljan Mahnic (Slovenia), and Jean-François Desnos. 2003 in Amsterdam, hosted by Marij Veugelers (University of Amsterdam) and 2004 in Bled, Slovenia, hosted by Viljan Mahnic (University of Ljubljana). In 2003 a seminar for Rectors entitled “IS Strategy and Policy” was organized in Paris by EUNIS and the European association of Rectors – EUA (European University Association). Not less than fifty Rectors (plus a number of EUNIS representatives) attended this event. Cooperation with EUA was initialized at this occasion. In Bled 2004 Lígia Ribeiro was elected as the new president. Martin Price became the executive secretary. In 2004, an E-learning task force was created, lead by Andrew Rothery (University of Worchester). The first workshop was held in Oxford in February. In 2005, an important agreement was signed with TERENA, expecting common projects, crossed presentations during the annual conferences and reduced fees at the events. In 2005 the Congress was once again hosted at the University of Manchester, this time organized by Mark Clark, the new CIO. 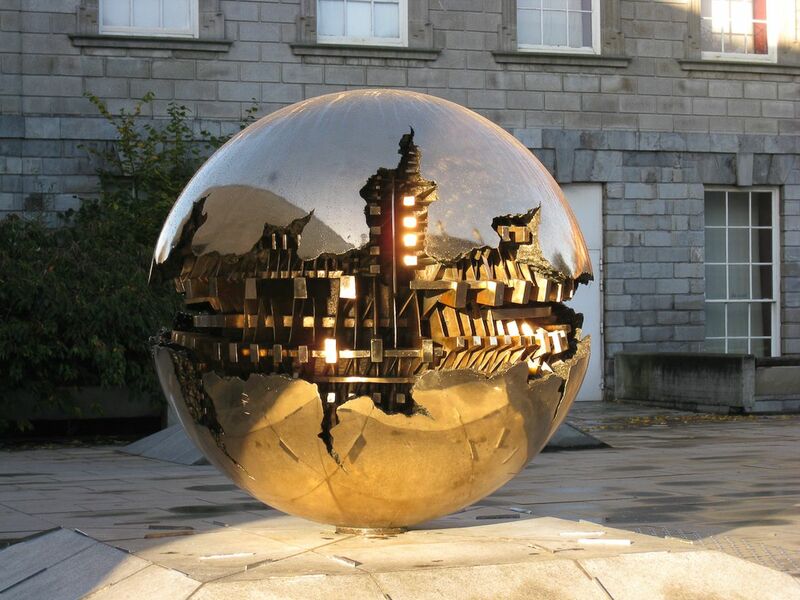 The 2005 General Assembly (GA) in Manchester decided an important change in EUNIS statutes: till now, the regular members were only “national” associations dealing with IT in Higher Education and Research. EUNIS, as the European federation of these associations, had less than thirty regular members. From this GA decision, Universities, Higher Education Institutions, and Research Institutes would also be accepted as regular members. The number of members quickly rose to more than one hundred. But some complexity was thereby introduced in EUNIS statutes. Actually, a majority of voting delegates would not consider the same way a member representing a number of universities (e.g. UCISA, ZKI, EUNIS-CZ) and a member being a single university. So, two chambers were set to elect the Council: the chamber of national organizations, and the “chamber” of institutions. Moreover, no more than two representatives of the same country could be elected to the Council (one per chamber), to avoid “big” countries to trust the seats at the Council. Despite these statutes changes, a number of universities members of EUNIS through their national organization estimate useless to register as a direct member. That’s why the number of EUNIS members never passed (to date) one hundred and fifty. In 2006, the Congress took place at University of Tartu, hosted by Andres Salu. A new Board was elected: Jean-François Desnos, president; Andrew Rothery, VP; Markku Kuula (Finland), treasurer; Hans-Dieter Weckmann (Germany), secretary; Bas Cordewener (the Netherlands), Jan Madey (Poland) who will become VP in 2008, Viljan Mahnic, Andres Salu (Estonia), Ivan Vrana were members. In 2006 a second seminar for Rectors entitled “Impact of the Bologna Process” was organized in Paris by EUNIS and the European University Association. It was a success like the first one. The same year the second E-learning workshop was organized in Birmingham by Jens Doerup (University of Aarhus, Denmark) and Andrew Rothery. In 2007, the annual Congress took place in Grenoble for the second time, ten years after the first one. Organized by Jean-François Desnos and Yves Epelboin, it reached 375 attendees (passed by Berlin in 2001 and Amsterdam in 2003 with more than 400 delegates) from 30 countries. Unfortunately, Jens Doerup, member of EUNIS Board and head of the E-learning Unit at the University of Aarhus, died the same year. Ivan Vrana did the trip to Denmark to represent EUNIS at his funeral. In commemoration of Jens, EUNIS decided to award each year a Jens Doerup E-learning Award. This award was defined at the next E-learning workshop, held in March 2008 in Malta. Furthermore, the last years of his life, Jens strongly wished to hold the EUNIS Congress at his University. 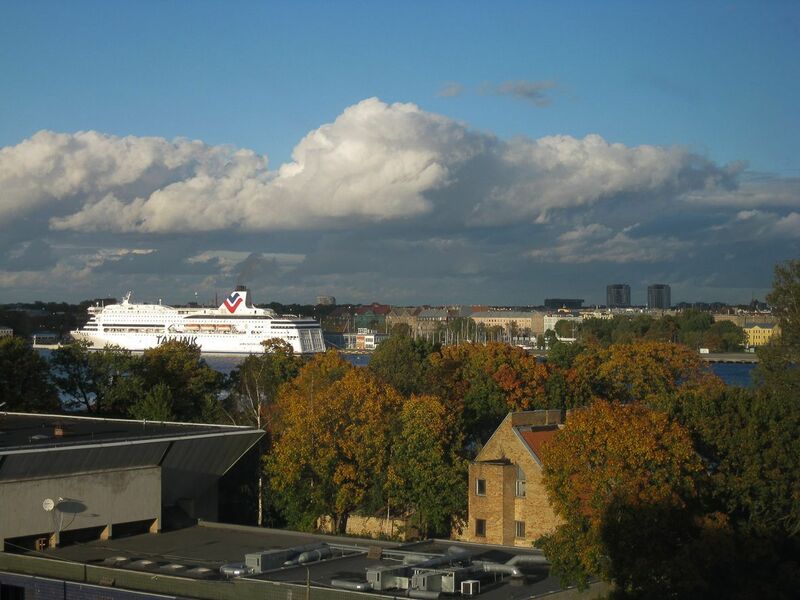 Thanks to his colleagues of the E-learning Unit (headed by Orla Hoppe), the 2008 Congress was held in Aarhus. It was a big success with 334 delegates from 29 countries, and a high level of presentations. During the event, the first Jens Doerup E-learning Award was given to Andreja Kovacic, Goran Bubas, and Miran Zlatovic, from the University of Zagreb, Croatia. The ceremony was strongly emotional, with the attendance of Jens wife and children. During the event, the General Assembly adopted simplified statutes, considering only one category of regular members. The two chambers were suppressed, but the intermediate body, the Council, was kept between the General Assembly and the Board, to ensure a balance of seats within nationalities. In March 2009, a new E-learning workshop was held in Paris, managed by Gill Ferrell, and hosted by Yves Epelboin. Jan Madey, president; Viljan Mahnic, VP; Peter Tinson (United Kingdom), treasurer; Hans-Dieter Weckmann, secretary; Pierre Ageron (France), Gill Ferrell (United Kingdom), Javier Franco (Spain), Orla Hoppe (Denmark), Arsenio Reis (Portugal), Robert Sultana (Malta) were members. Kristel Sarlin became the executive secretary. In February 2010 an eLearning workshop was held in Barcelona, led by Gill Ferrell. In March 2010 there was a MIS Research event in Bologna jointly organized by EUNIS and CINECA. The event gathered more than 100 participants. In June 2010, the annual Congress took place in Warsaw, hosted by Jan Madey (University of Warsaw) with the welcome address given by Lech Walesa — co-founder of Solidarity, Nobel Peace Price winner in 1983 and the President of Poland 1990-95. As new members of the Board John Murphy (Ireland) and Ilkka Siissalo (Finland) were elected. Javier Franco and Robert Sultana had declared their resignation. Jan Madey was re-elected as the president and Orla Hoppe became the second VP. In December 2010 RS3G – ECAM joint meeting “Enabling Middleware for Academic Mobility – Solutions for the RS3G Mobility Project” was held in Malaga, Spain. 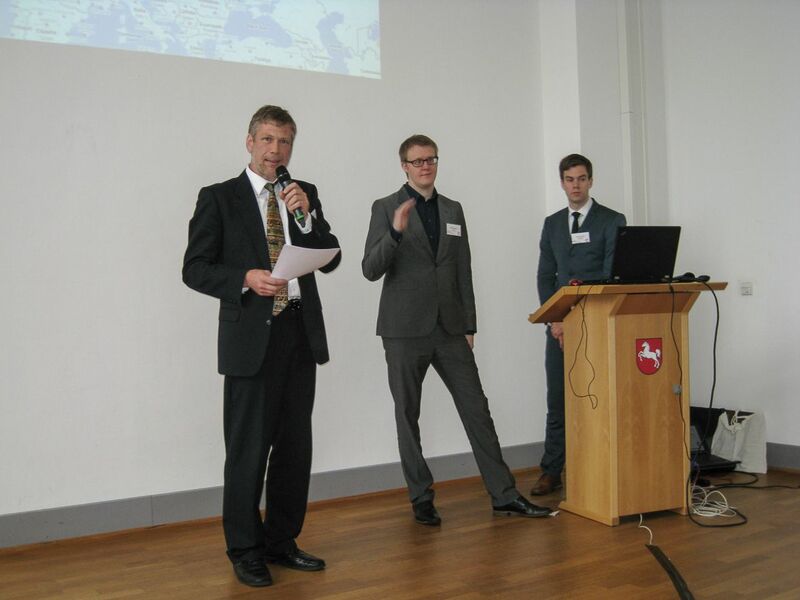 In May 2011 MIS BI Conference, Business Intelligence in Higher Education, in Hannover, Germany, was co-organised by EUNIS and HIS. 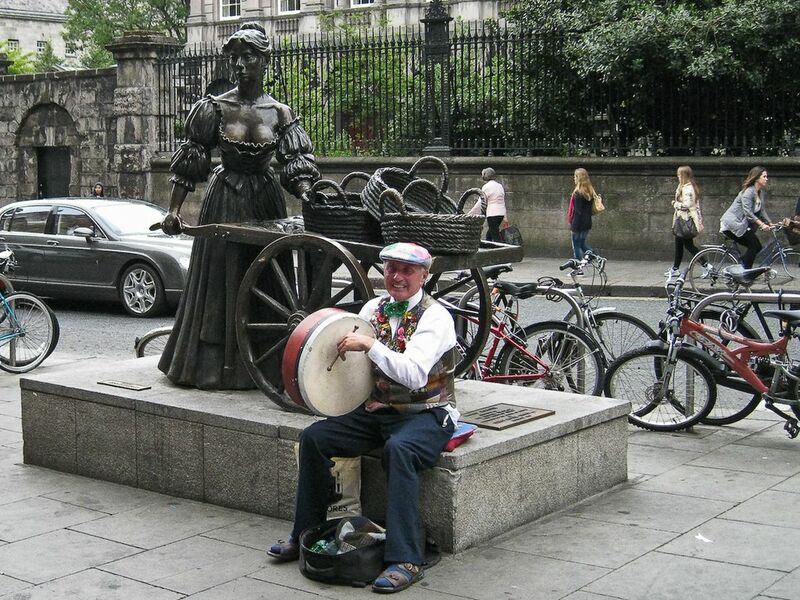 In June 2011 the Annual Congress took place in Dublin (Trinity College Dublin, Ireland). The Board welcomed five members elected to the Board: Arsenio Reis (Portugal), Nicola Bertazzoni (Italy), Pekka Kähkipuro (Finland), Ramon Grau Sala (Spain), Lígia Ribeiro (Portugal). The following officers were elected: President – Jan Madey, Vice-President – Ilkka Siissalo, Treasurer – Hans-Dieter Weckmann, Secretary – Ramon Grau Sala. Kristel Sarlin stepped down as an Executive Secretary and Jean-Francois Desnos agreed to take over. In April 2012 Rectors’ Conference was held in Prague bringing together Rectors, Presidents, Vice Chancellors and their representatives from across Europe to discuss strategy, policy, organisation and management issues for higher education with a particular focus on strategic planning for the effective use of information technology in a cooperative and competitive globalised world. Seventy key figures from sixteen countries attended the event. In June 2012 the annual Congress took place in Vila Real, Portugal, organized by the University of Trás-os-Montes e Alto Douro (UTAD). The Board welcomed the four persons elected or re-elected to the Board: Jan Madey (Poland), Hans-Dieter Weckmann (Germany), Mikael Berglund (Sweden), Gill Ferrell (UK). No changes among the officers within the Board. 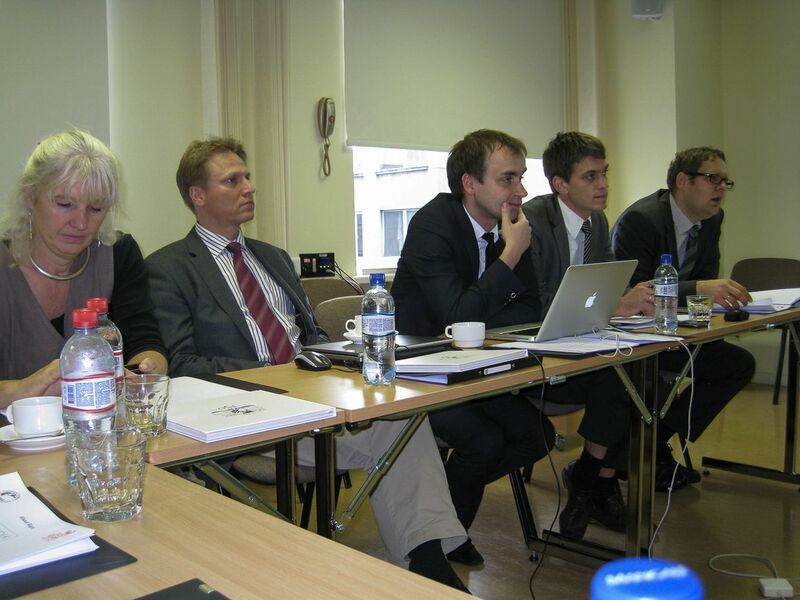 In November 2012 the BENCHEIT Task Force of EUNIS arranged in Munich a workshop on the topic of measuring and benchmarking university IT volumes and costs Europewide. In April 2013 the EUNIS eLTF workshops: “New Spaces for learning: innovation in physical and virtual learning spaces” were held, organized by Gill Ferrell and hosted by Ecole Polytechnique Fédérale de Lausanne (Switzerland). In June 2013 the Annual Congress took place in Riga, Latvia, organized by the Riga Technical University. The Genaral Assembly has accepted the following candidates to the Board: Ilkka Siissalo (Finland), John Murphy (Ireland), Michele Mennielli (Italy), Zigmunds Zitmanis (Latvia). The officers are: President – Jan Madey, Vice-President – Ilkka Siissalo, Treasurer – Hans-Dieter Weckmann, Secretary – John Murphy. In December 2013 the Bencheit Task Force workshop was held in Paris on How to implement European wide core indicator. 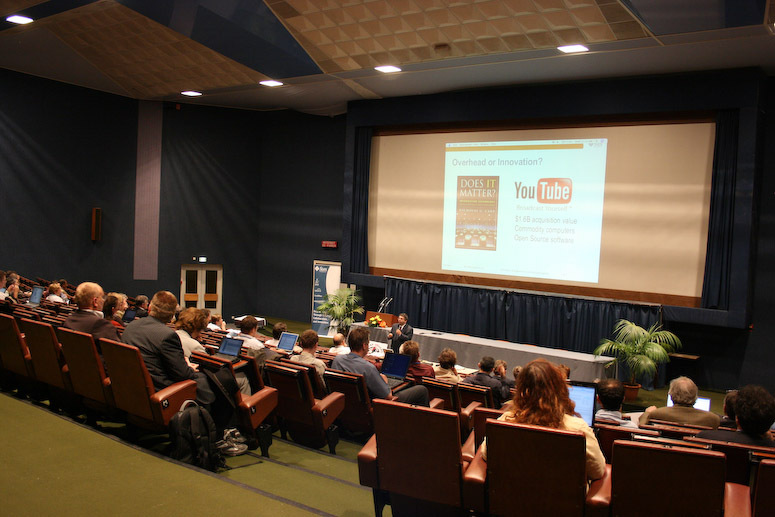 In March 2014 Business Intelligence Task Force Conference took place in Paris. It was organised together with AMUE, CINECA and SIGMA. The conference theme was: Business Intelligence and Data Warehouses in European Universities and it has included the presentation of the results of the European “BI Maturity Level Survey”. Over 70 participants attended the event. The hosts of the conference were University of Helsinki and Aalto University. 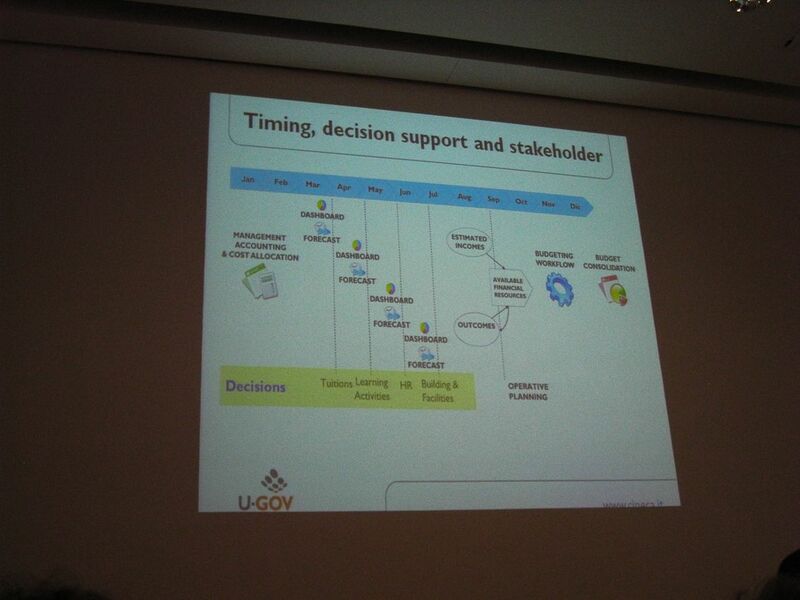 On 28-29th of April 2014 the e-Learning Task Force workshop took place at Universitat Autònoma de Barcelona. Workshop theme: New models of learning and accreditation. Among the topics discussed there were: the future of MOOCs, social learning in an online environment, learning analytics, assessing online learning. On 11-13th of June 2014 the EUNIS 2014 Congress “Higher Education in Digital Era” was held in Umeå. Over 250 participants have attended the Congress. The programme was divided into distinct tracks: supporting teaching and learning, university management – BI, the CIO and IT management, software development, university cooperation, security. Among the internationally renowned speakers that have contributed at the event there were: Gerry Pennell (CIO Manchester University), Michiel Boreel (CTO Sogeti) and Eden Dahlstrom (Director of Research at Educause). The Genaral Assembly has accepted the following candidates to the Board: Pekka Kähkipuro (Finland), Ramon Grau Sala (Spain), Lígia Ribeiro (Portugal), Uwe Huebner (Germany). No changes among the officers within the Board. The EUNIS 2015 Congress was held by the Abertay University (Dundee, Scotland) on 10th-12th of June 2015. The Genaral Assembly has accepted the following candidates to the Board: Tomasz Szmuc (Poland), Raimund Vogl (Germany), Mikael Berglund (Sweden), Valerie Le Strat (France), Bas Cordewener (UK). The officers are: President – Pekka Kähkipuro (Finland), Treasurer – Raimund Vogl (Germany), Secretary – John Murphy (Ireland). The other Board members are Ramon Grau Sala (Spain), Lígia Ribeiro (Portugal), Michele Mennielli (Italy), Ilkka Siissalo (Finland). As of September 2015 the EUNIS Board started to run video-conference meetings. Due to the resignation of Pekka Kähkipuro from his position at the Aalto University a new EUNIS President had to be elected since 1st of January 2016. John Murphy (Ireland) was elected for the President and Michele Mennielli (Italy) was nominated for the Secretary. The Board also welcomed Yiannis Salmatzidis (Greece). 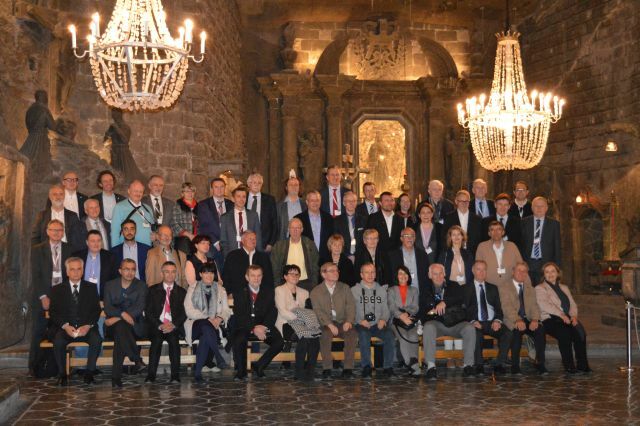 On 14-16 of April 2016 EUNIS Rectors’ Conference was held in Kraków entitled Smart European University. Rectors and decision makers from 43 institutions and representatives from 21 countries took part in the Conference. EUNIS 2016 entitled Crossroads Where The Past Meets The Future was held at Aristotle University, Thessaloniki, Greece, 8-10 June 2016. The Genaral Assembly accepted the following candidates to the Board: John Murphy (Ireland), Raimund Vogl (Germany), Michele Mennielli (Italy) and accepted the co-optation of Malte Dreyer (Germany) and Yiannis Salamtzidis (Greece) earlier this year in order to fill the vacancy positions. The officers are: President – John Murphy (Ireland), Vice -President Ilkka Siissalo (Finland), Treasurer – Raimund Vogl (Germany), Secretary – Michele Mennielli (Italy). The other Board members are: Ramon Grau Sala (Spain), Lígia Ribeiro (Portugal), Tomasz Szmuc (Poland), Mikael Berglund (Sweden), Malte Dreyer (Germany), Yiannis Salamtzidis (Greece), Bas Cordewener (UK). Due to the resignation of Valerie Le Strat (France) the Board co-opted Thierry Koscielniak (France). In January 2017 Michele Mennielli (the Secretary) left CINECA and Paola Gargiulo replaced him on behalf of CINECA. 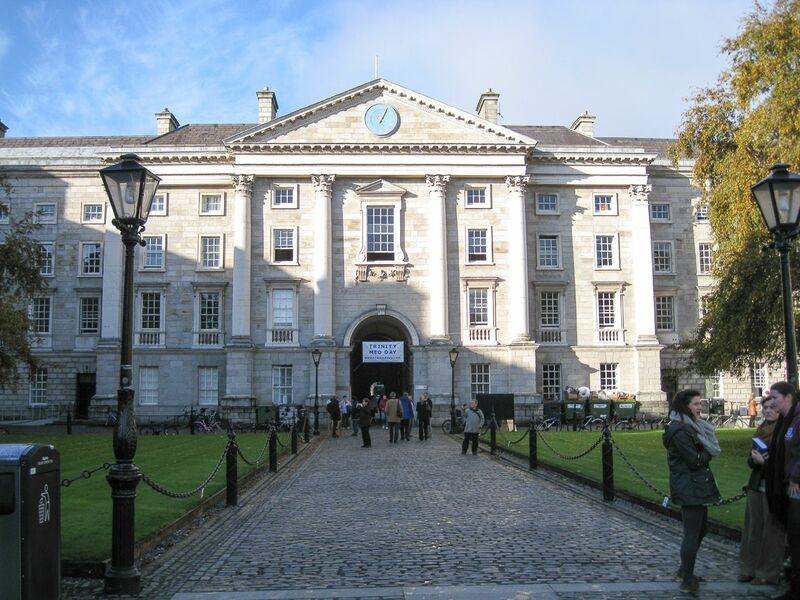 In February 2017 John Murphy left Trinity College and stepped down as the President of EUNIS. The Vice-President, Ilkka Siissalo was appointed as the President of EUNIS. The EUNIS 2017 Congress was held by the University of Münster (Münster, Germany) on 7th-9th of June 2017. The Genaral Assembly has accepted and approved co-optation of the following candidates to the Board: Outi Tasala (Finland), Freddy Barstad (Norway), Ramon Grau Sala (Spain), Lígia Ribeiro (Portugal), Yiannis Salamtzidis (Greece), Malte Dreyer (Germany), Thierry Koscielniak (France). The officers are: President – Raimund Vogl (Germany), Vice-President – Ilkka Siissalo (Finland), Vice-President Tomasz Szmuc (Poland), Treasurer – Yiannis Salamtzidis (Greece), Secretary – Outi Tasala (Finland), Vice-Secretary – Thierry Koscielniak (France). The other Board members are: Mikael Berglund (Sweden), Bas Cordewener (UK). The EUNIS 2018 was held at Universite de Sorbonne in Paris, France on 6th-8th of June 2018. The General Assembly accepted the following candidates to the Board: Raimund Vogl (Germany), Tomasz Szmuc (Poland), Bas Cordewener (UK), Pekka Kähkipuro (UK). The officers are: President – Raimund Vogl (Germany), Vice-President – Ilkka Siissalo (Finland), Vice-President Tomasz Szmuc (Poland), Treasurer – Yiannis Salamtzidis (Greece), Secretary – Outi Tasala (Finland), Vice-Secretary – Thierry Koscielniak (France). The other Board members are: Malte Dreyer (Germany), Freddy Barstad (Norway), Ramon Grau Sala (Spain), Lígia Ribeiro (Portugal).